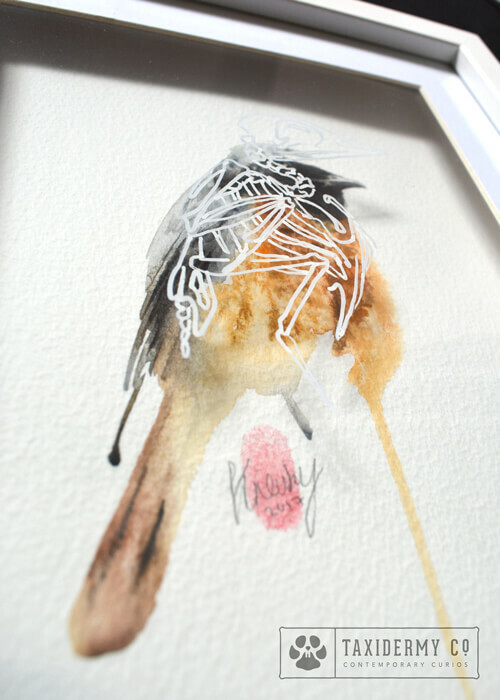 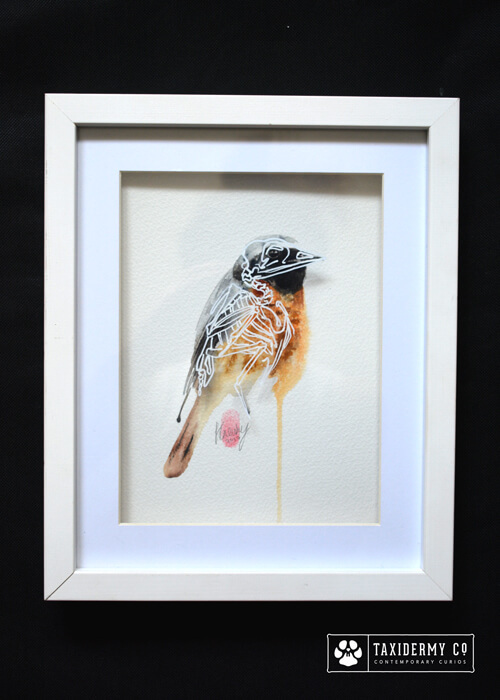 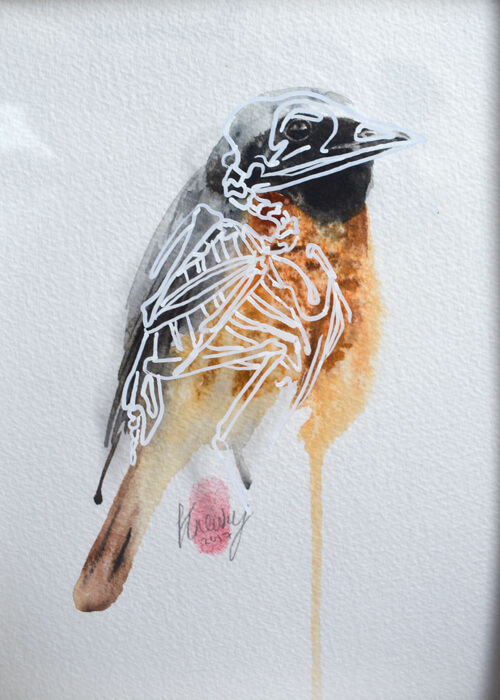 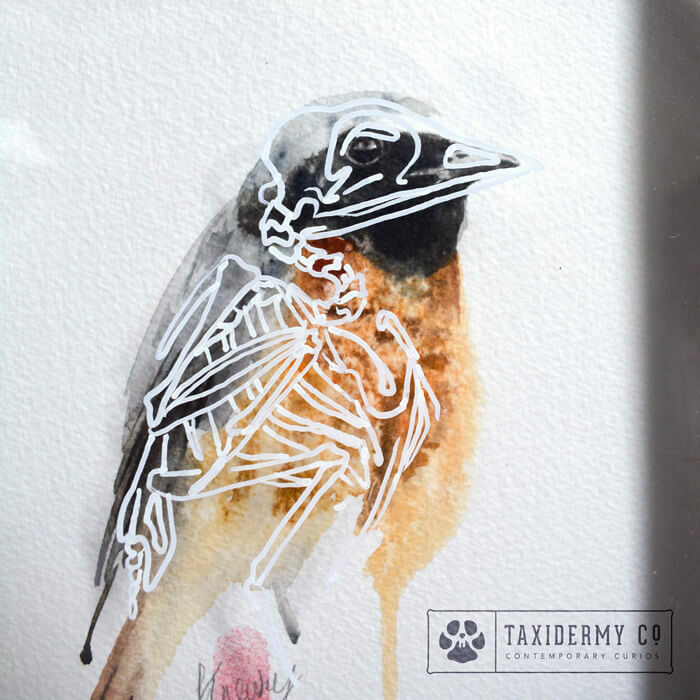 This listing is for a 100% original,one of a kind hand painted watercolour artwork by Krysten Newby, featuring the skeletal anatomy of a Redstart (Phoenicurus phoenicurus). 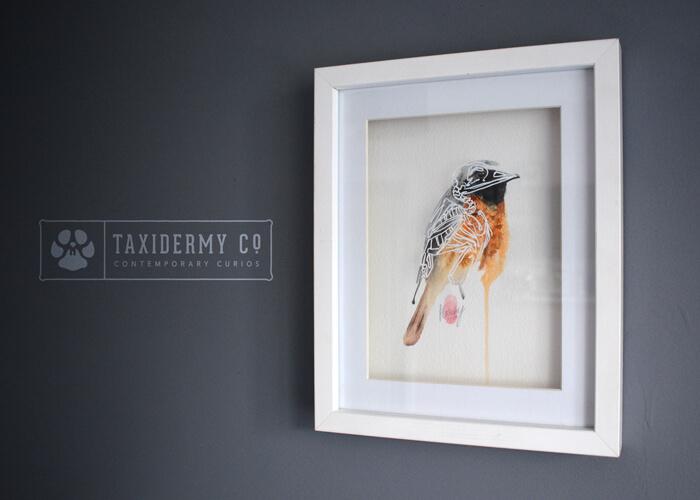 You’ll see that this is almost an interactive piece of artwork that moves with you as you walk around the room. 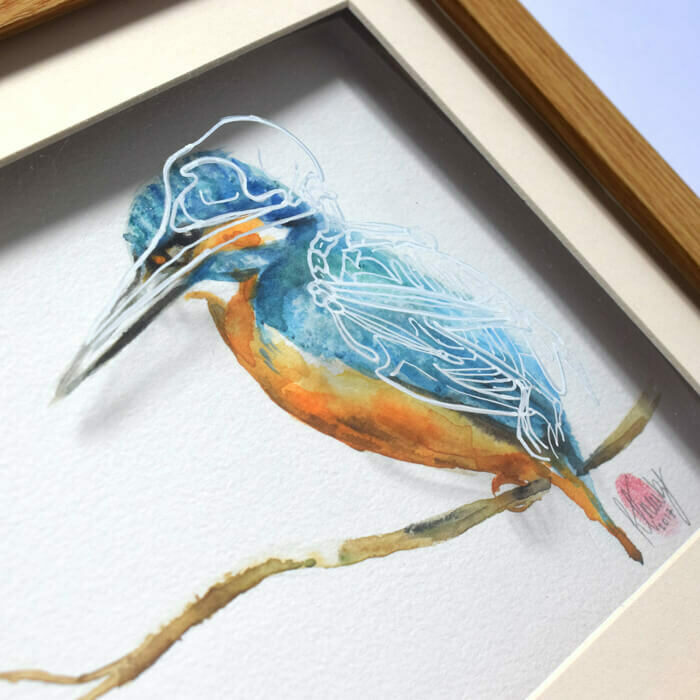 At the right angle, the skeleton layer that sits a couple of cm’s above the watercolour artwork aligns perfectly with the painting behind!